Sara Stowe, soprano, and Chris Brannick, percussion. 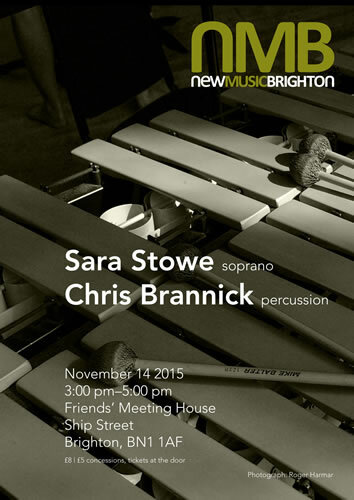 NMB is pleased to announce our concert with Ensemble Bash percussionist Chris Brannick and versatile soprano Sara Stowe performing a lively and entertaining programme of music for soprano and percussion. See the Events page for more details. Saturday 14 November at 3pm – Friends Meeting House, Ship Street, Brighton.